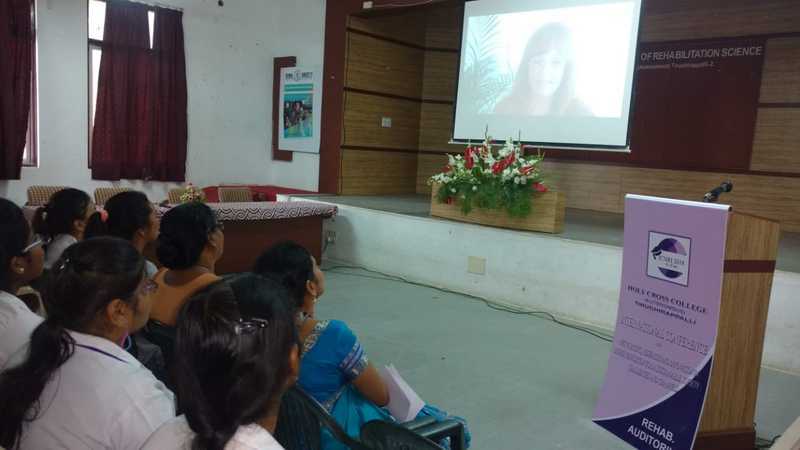 July 25.-27th was a conference scheduled at the Holy Cross College in Trichy, Tamil Nadu , where Karola Wood, founder and director of Ladakh-Hilfe, war invited as a guest speaker. She was supposed to speak about her work with Ladakh-Hilfe/REWA Society. Due to pressing circumstances she could not attend the conference personally. But she was able to produce an informative video with many pictures explaining the development and the work of REWA Society. 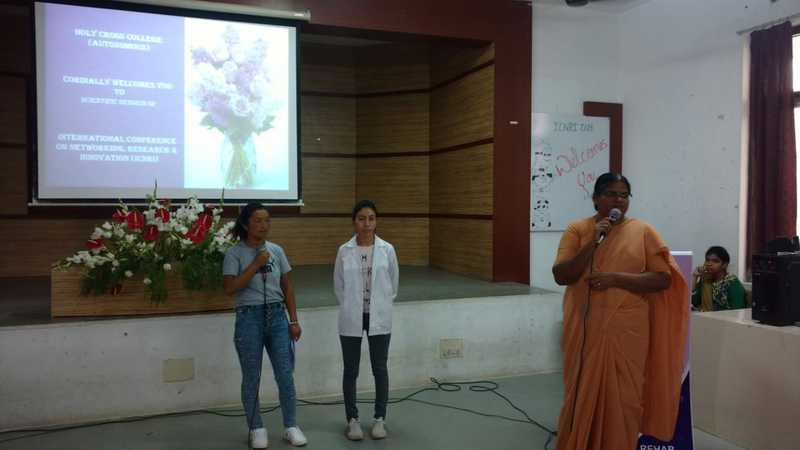 The two REWA students Lobzang and Dechen, who had been sent to Trichy in June for education and studies, represented Karola Wood and REWA Society in a most professional and sincerel way. Lobzang is the sister of the first child Karola Wood helped in Lingshed in 2003. She profited from the work of Ladakh-Hilfe by finding a sponsor paying her way through school in Leh. Also Dechen, who comes from a poor family in Lingshed, had been supported by members of Ladakh-Hilfe with her schooling for many years. 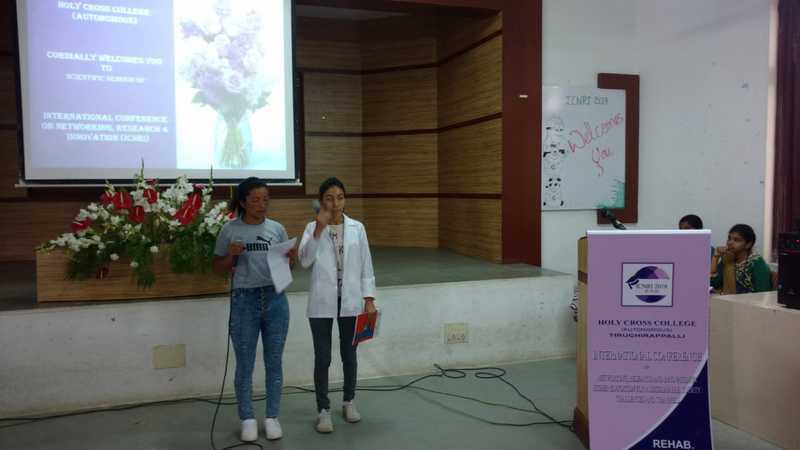 Both of them are studying in Trichy now with the goal of achieving a sound profession in rehabilitation with the intent of working for REWA Society later. 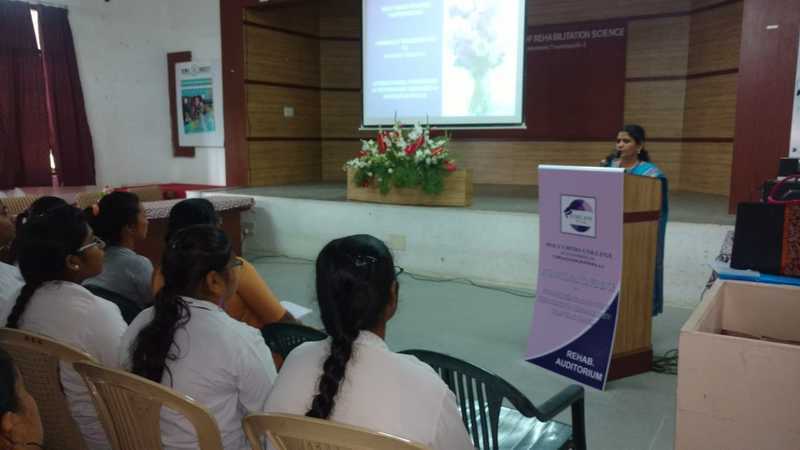 Both girls were supported in their first public appearance and speaking engagement by the sisters of the Holy Cross College and Karthik, a friend of Karola Wood. 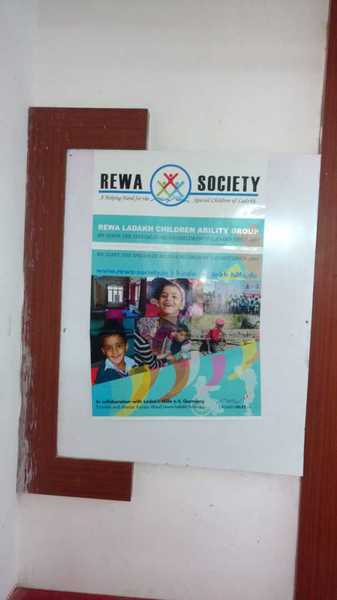 They printed a poster about REWA, handed out flyers and talked about the work of REWA. They were very happy to get much applause and interest of many photographers. Thank you Lobzang and Dechen, keep on respresenting and supporting REWA !